Open up your city's finances on Open Data Day! Open Data Day is coming up on February 22nd with events happening in cities across the world. Are you interested in the recent budget passed in your city council or curious about the expenditures of your local school board?  Then be sure to get involved and make use of the OpenSpending platform and community at Open Data Day. Help open up your city’s finances by publishing them on OpenSpending and producing elegant visualizations that show where money goes. OpenSpending makes it super-easy to turn an Excel (or even PDF) file of local city finances into something browsable and searchable. Community members have already added more than 100 city budgets to OpenSpending and plotted them on this map . It also enables you make clear and beautiful visualisations of your local city’s finances in seconds making them understandable to everyone. Will you be working on budgets or spending at the Open Data Day? Let the OpenSpending community know by sharing the news on the mailing list and connect with us on the IRC freenode channel #openspending. To learn more about where the Open Data Day events are happening check the Open Data Day wiki. The Open Data Day wiki also offers some excellent guidance for you can organise an event in your city. If you need inspiration for your event check this list of exciting Open Data Day activities, which have already been planned.